Gallery is a fresh new company that offers bolt upgrade kits that help dress up your engine bay. While initially offering just universal kits – they have now started to develop kits targeted for specific cars. Check out the kit for the Nissan 350Z. Attention to detail is everything. Replace stock or worn hardware with the refined look of Gallery Original Dress Up Parts. 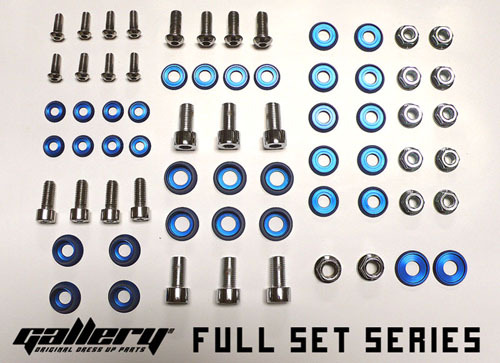 Featuring the best in materials, Gallery high quality parts are crafted of precision stainless steel and machined aluminum produced to better than OEM specifications. Step up to Gallery.